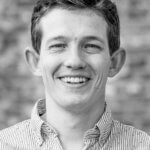 Wouter van der Meij is the founder of umbrellum.com and a freelance SEO specialist based in Leiden, the Netherlands. 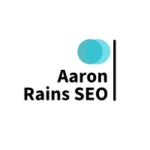 With over 12 years of SEO experience, of which 6 years of SEO consulting, Wouter has worked with big brands and smaller local businesses to help them rank higher in Google. Wouter can help businesses grow in the Netherlands but also grow internationally. He’s an expert on link building and knows his ways to get highly relevant links that help your business grow. Finance, one of the biggest banks in the Netherlands as their freelance SEO specialist. Insurance, help a big health insurance company with their technical SEO and get more backlinks to their site. Multiple online retail companies in apparel, product comparison, Swedish home accessories and the biggest online retailer in the Netherlands. Travel, multiple travel-related companies renting out holiday homes, luxury campings, cruises, hiking and daily leisure products. Local businesses like party rental services, dentists and lawyers. Wouter is a typical SEO nerd for hire as an SEO specialist. In his free time, he likes to travel around the world, plays handball and test out crazy new SEO ideas and mind farts. If you want more information about Wouter, contact him via the green button below, or check out his LinkedIn profile for his work done in the past. Contact Wouter van der Meij directly!